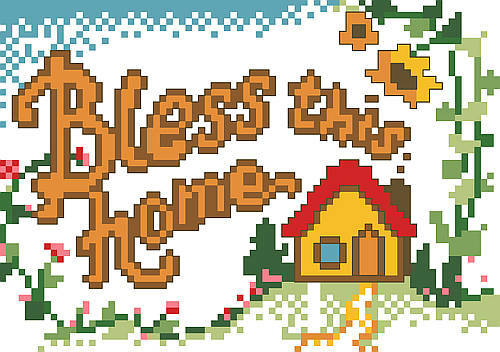 Celebrate your home and family with this thoughtfully created cross stitch sign that brightens your living space with heartwarming charm. An original by Donna Kooler from the 1970's, it's timeless and cheerful. 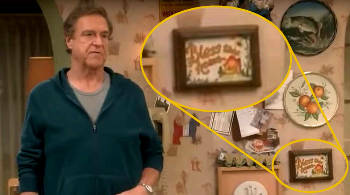 If you think you've seen it recently, that may because it's hanging on the wall of the kitchen on the ABC Television series "The Conners"! Contents: Stitch Count 78w X 55h, Finished size on 14 ct 5-1/2" X 3-7/8"